JF Engineering offers a wide range of ANSI/ASME B16.11 forged bushing fittings at reasonable price. As a stockiest and supplier forged bushing available in different sizes, shapes, thickness and specifications. 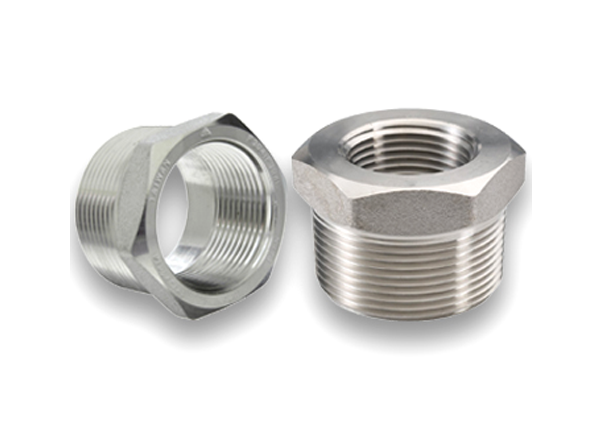 Forged Bushing is a fitting used to joint two threaded items of different size. It is an ideal one in various applications such as chemical industry, hydraulic machinery, oil and gasoline. We deliver threaded bushing available in various technical specifications in order to meet the clients requirements. Customers can purchase the variety of forged bushing available in various materials such as stainless steel, carbon steel and alloy steel. We value our each customer and provide each product in a qualitative manner with best service. We are one of the trusted name in the pipeline market that offers each and every single product according to the customer needs. 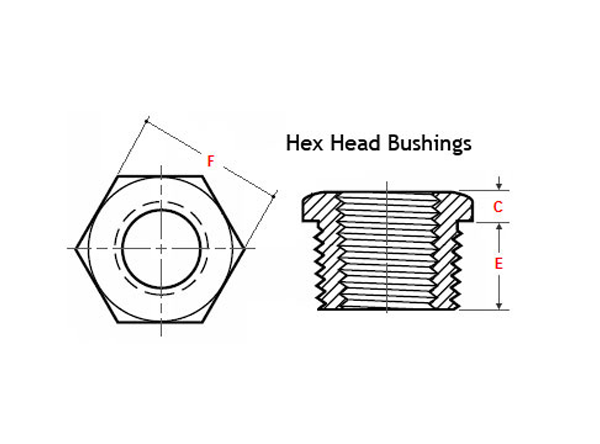 *Dimension J for Hex Head Bushing and dimension C for Hex Head Plug are the same. Orders will be sent out within 2-3 business days, and may take up to 5-10 business days in transit. If ASME B16.11 Forged Bushing is out of stock, orders may take up to 2-4 weeks to ship. JF Engineering Products LLP will notify buyer if this situation occurs..